ATLANTA ― Mindfulness-based stress reduction (MBSR) therapy as well as cognitive-behavioral therapy (CBT) are both effective in reducing comorbid anxiety and depression in adults with autism spectrum disorder (ASD), Dutch investigators report. Investigators at the Center for Developmental Disorders, Dimence Institute of Mental Health, Deventer, the Netherlands, observed significant reductions in both anxiety and depression in adults with ASD who underwent treatment with either MBSR techniques or CBT. 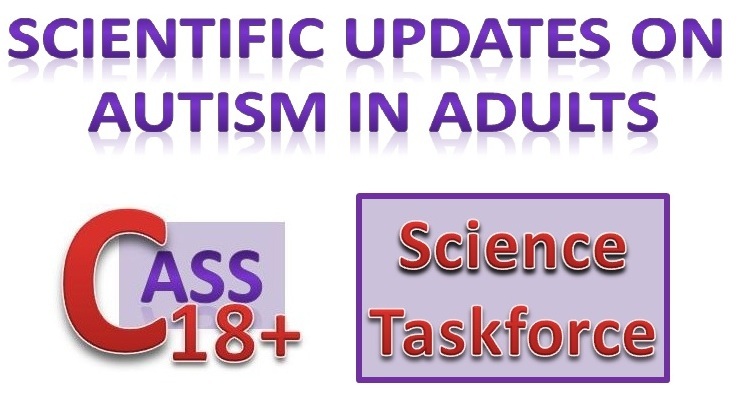 Both approaches were modified to match the capabilities of adults with ASD. "ASD in adults is an emerging field of interest [but] most research has focused on treating the presumed core symptoms of ASD as outcome measures," lead investigator Bram Sizoo, MD, PhD, told Medscape Medical News. "This is regrettable because anxiety and depressive symptoms are known to be prevalent in adults with ASD and can be treated provided the treatment methods used take into consideration the way people with ASD understand and process information." The study was presented here at the 13th Annual International Meeting for Autism Research (IMFAR). For the study, the Dutch group randomly assigned 90 adults with ASD in equal numbers to the MBSR program, to CBT, or to treatment as usual. Mindfulness has been defined as paying attention to experiences in the present moment in a nonjudgmental way. It is thought that by teaching people to accept thoughts and feelings as they appear, "avoidance strategies can be countered effectively, which reduces ruminative thinking and consequently also anxiety and negative mood," Dr. Sizoo explained. To adapt the mindfulness protocol for adults with ASD, researchers removed as many cognitive elements as possible and made the text clear and unambiguous. The CBT protocol was also modified so that it was very structured and tailored to a pace that people with ASD can generally handle. However, Dr. Sizoo pointed out, "the relation between event, emotion, thought, and action is generally perceived as 'very logical' by people with ASD, and this, in fact, leads to a better recognition and labeling of their own emotions." Indeed, both protocols are used routinely for adults with ASD in the Netherlands, he added. Participants completed 13 sessions of the randomly assigned training protocol, each session lasting 1.5 hours in total. Anxiety and depression scores were measured using the Hospital Anxiety and Depression Scale (HADS) at baseline and again after participants had completed the 13-week course and again at 3 months' follow-up. * The treatment-as-usual group has not yet been analyzed. †Anxiety: significant reduction in anxiety score (F=14.39, P = .000, effect size =.34), no interaction with treatment type. ‡Depression: significant reduction in depression score (F=14.14, p=.000, effect size = .35), no interaction with treatment type. As Dr. Sizoo noted, both modified protocols are ready for use in any center that provides services for adults with ASD. In the Netherlands, however, training is recommended for facilitators who carry out the MBSR protocol. For both modalities, facilitators also require a thorough understanding of ASD to ensure that adults are able to grasp and follow what is being said during each protocol. "In most cases, the MBSR exercises were clear and easy to carry out, and we noticed that patients very quickly adapted mindfulness techniques for use in their daily lives to reduce stress," Dr. Sizoo observed. "Unfortunately, the protocols are as yet only available in Dutch." Asked to comment on the study, Stefan Hofmann, PhD, director, social anxiety program, Boston University, in Massachusetts, told Medscape Medical News that the authors report "very promising results." "ASD is a difficult-to-treat condition that is associated with many emotional and behavioral problems, including depression and anxiety, and few treatments are available for patients suffering from this debilitating disorder." Inasmuch as CBT is an established treatment for many psychiatric disorders and MBSR is showing considerable promise as an alternative treatment, studying these 2 treatments in adult ASD is "clinically important and timely," Dr. Hofmann added. "The study demonstrated that it is possible to modify and tailor both treatment approaches to this particular population," he said. "[And although] it was not possible to examine whether both treatments are equally effective, both interventions led to significant reductions in anxiety and depression." Dr. Hofmann felt that there is a need for future studies with larger samples to examine not only whether MBSR and CBT are equally effective but whether there are any patient characteristics that might predict a better response to one or the other treatment or whether combining CBT and MBSR would be more effective than either as monotherapy. Dr. Sizoo and Dr. Hofmann report no relevant financial relationships. 13th Annual International Meeting for Autism Research (IMFAR). Abstract 135.004. Presented May 16, 2014. Cite this article: Mindfulness, CBT Cut Anxiety, Depression in Adult Autism. Medscape. May 27, 2014.